Colleen her from Scrappin Granny sharing with you a birthday card great for a young child or grown man who loves soccer. 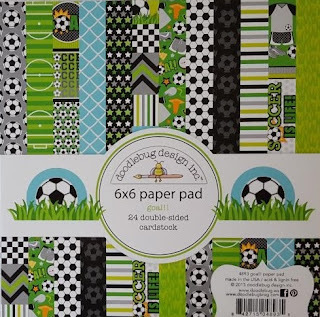 I started with paper from the Doodlebug Design Inc. called Goal. I tried something I have never done before. 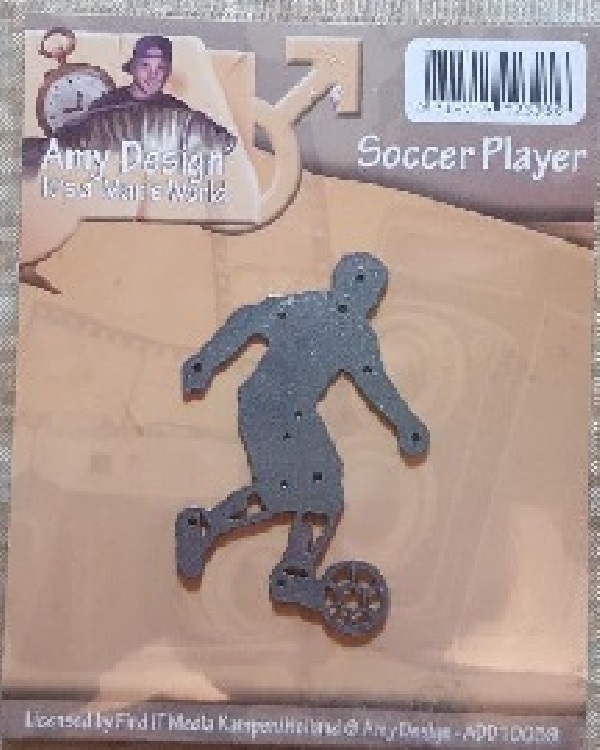 I cut out the soccer player, the edge and the back of the sentiment from vinyl. The backside of the this wonderful paper had the sentiment which I just cut out and put on the vinyl. 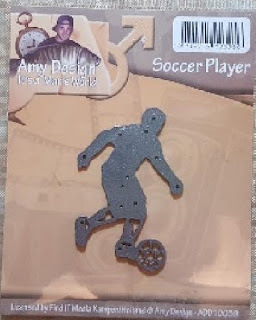 I used the soccer player die by Amy Design to cut out the two soccer players. 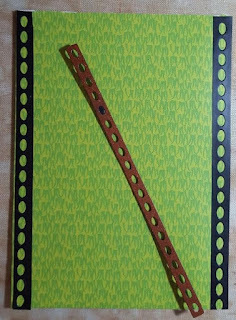 I wanted a edge so I used one of the pieces from Striped Swirl Edger by Creative Expressions and cut out some more vinyl. The card is finished and it was fun, fast and easy to create. What a fun card Colleen! What a great masculine care! 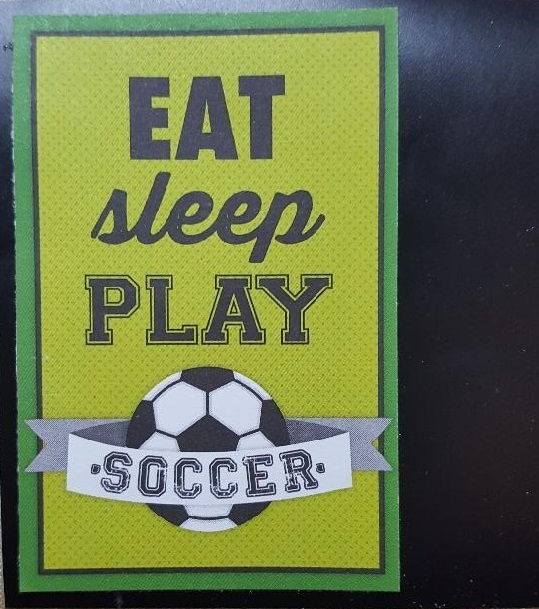 Definitely a great card for the sports lover!